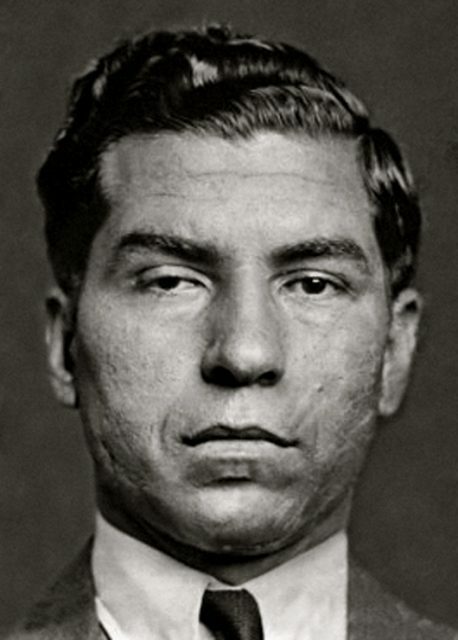 Born Salvatore Lucania in Sicily in November 1897, the future brains of the New York mafia took the name Charles Luciano after he was arrested for dealing heroin and his parents disowned him. 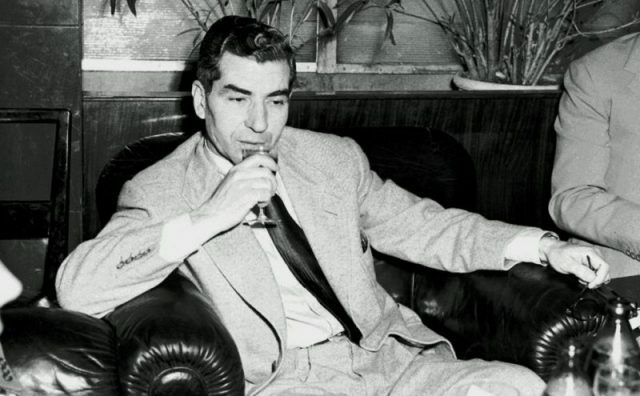 By the 1930s he was known as “Lucky” Luciano, although no one can say with certainty what first prompted the nickname. The leading theory for his being known for his remarkable luck was his surviving a savage beating in October 1929. Luciano was not only beaten but stabbed by a group of men who then dumped him on a beach on Staten Island, left for dead. A police officer discovered him, and Luciano was taken to the hospital. As a result of the attack, he had a deep scar on one side of his face and a permanently drooping eyelid. His attackers’ identity was murky. Sometimes Luciano said it was three police officers who beat him, other times it was thugs sent by mafia boss Salvatore Maranzano because Luciano worked for a boss that Maranzano was at war with. Whatever the reason for the attack, within two years, Maranzano was dead and out of Luciano’s way in his meteoric rise to the top. The 1920s were in many ways flush times for the underworld, thanks to Prohibition, which handed the Italian, Irish, and Jewish gangs lots of opportunities to make money. 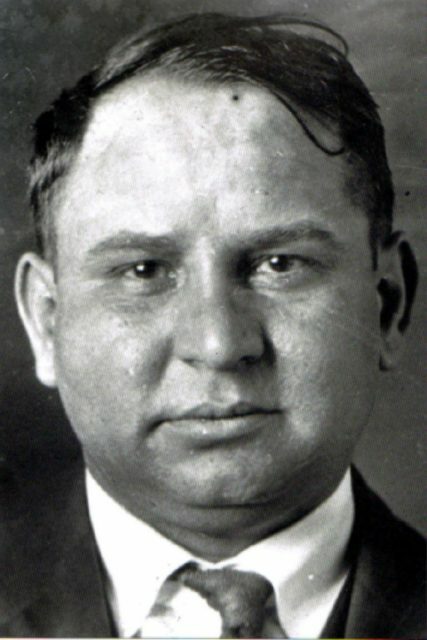 But the New York City underworld was in the throes of a deadly rivalry between two men: Sicilian immigrant Joe Masseria, known as “Joe the Boss,” and the more recent arrival, Maranzano, driven out of Italy by Benito Mussolini, who hated the mafia. Following restrictions on immigration by Italians to the U.S., mafia members fleeing Mussolini applied for political asylum, saying they were oppressed by fascism. Luciano had been a criminal since his early teen years. He dropped out of school, and at 14, took a job delivering hats, but there was heroin hidden in the hats. He later explained his fondness for crime by saying, “I never was a crumb, and if I have to be a crumb, I’d rather be dead.” After a prison term of one year for drug possession, he flourished in an East Harlem gang, and was mentored by Arnold Rothstein, the racketeer who is believed to have fixed the 1919 World Series. But if Lucky Luciano thought that matters would improve after he took his boss’s place, he was wrong. It was set up that there’d be five families controlling their own gangster turfs in New York City. Maranzano, however, declared himself capo di tutti capi, boss of bosses, and imposed a lot of rules on everyone. Now Luciano decided that he needed to eliminate the boss of bosses. Doing so wouldn’t be easy. Maranzano was always accompanied by a fleet of bodyguards, he drove a bulletproof Cadillac, and his office was in a fancy building overlooking Grand Central Station, with the address of 230 Park Avenue (later the Helmsley Building). But Luciano was able to learn that his target was having tax problems and Maranzano had instructed his bodyguards to not carry guns to the office because, any day now, the Internal Revenue Service was expected to descend on him. At this point, Luciano turned to his old friends, Jewish gangsters Meyer Lansky and Benjamin “Bugsy” Siegel. When he was a child, Luciano lived on the Lower East Side, on 1st Avenue between 13th and 14th streets. He became close friends with his neighbor Lansky and then Siegel. For the hit on Maranzano, they came up with the idea of outfitting a group of men in suits and ties–and guns and knives. Saying they were with the IRS, the assassins showed up at Maranzano’s 9th floor Park Avenue office on September 10, 1931. At that point, Maranzano was fanatical about only employing Italians, and he insisted that the whole mafia do business with exclusively other Italian gang members. None of the “IRS agents” looked at all Italian, so Maranzano believed they were genuine and went into a room with them. There he was killed. 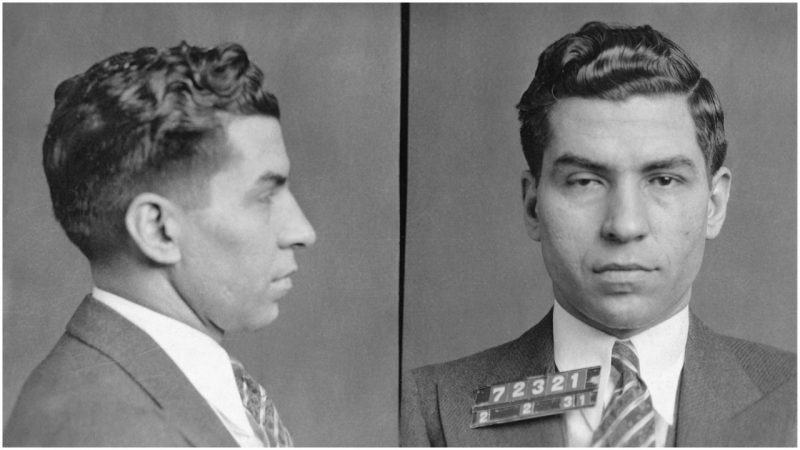 And with that, Lucky Luciano rose to power in the New York City mafia, and as the man who put the “organized” into organized crime, eventually became the Number one gangster in the entire United States.